The quad bike's charger could give you an electric shock. 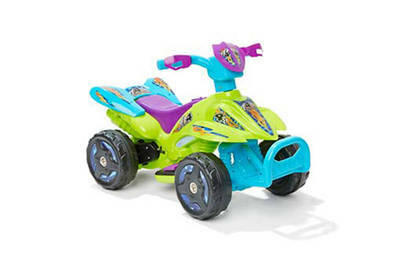 Kmart have recalled their 6-volt Mini Quad Bike. The charger could give you an electric shock. Affected quad bikes were sold at Kmart stores nationwide between October 2015 - April 2016. The product can be identified by the keycode 42224280. Stop using your charger immediately. Return the full product to any Kmart store for a full refund, or return the charger for a free replacement. You can arrange for a replacement charger to be sent to you by contacting Kmart Customer Service on 0800 945 995 between 8:00am - 5:00pm, Monday - Friday, or by visiting their Contact us page on the Kmart website. You'll also receive a reply-paid satchel for the return of the current charger. Replacement chargers will be available from 20 May 2016. For more information, contact Kmart Customer Service on 0800 945 995 or visit their Contact us page.